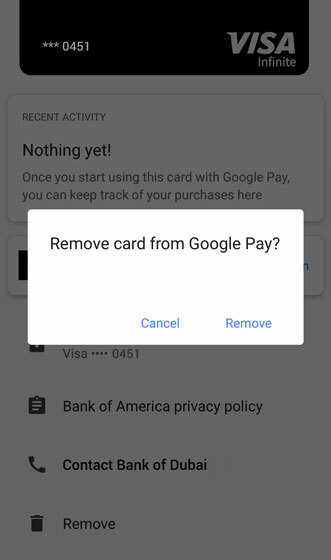 From the Google Pay app, tap the appropriate card. From the payment method detail, tap Remove (at the bottom). From the Remove prompt, tap Remove to confirm. For more info on the Google Pay app, click here.